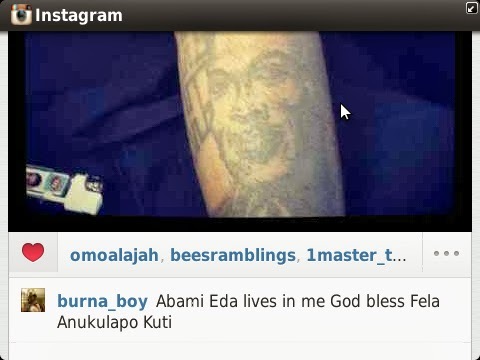 Nigerian pop sensation, Burna Boy has shown that he is truly a fan of the late legend, Fela Anukulapo Kuti. His grandfather Benson Idons used to be Fela’s manager, maybe that’s where the love for the late legend originated from. Would you tattoo another human being on any part of your body?